Get Involved » Sign up for our next event! At Big Picture Philadelphia, visitors are always welcome and volunteers are always needed. 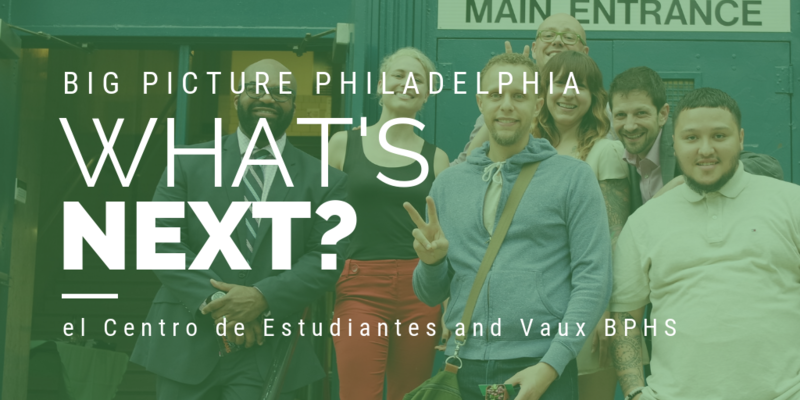 Big Picture Philadelphia invites individuals and groups to visit and volunteer at each of our schools: Vaux Big Picture High School and el Centro de Estudiantes. Each has its own unique character and event offerings. If you are interested in any upcoming event listed below, click on the image of the event to access its registration page. As the year progresses, new events will be listed, so check back often to see how you can get connected and be involved. Visitors are always welcome, and volunteers are always needed. For additional information, or with questions, please contact Chris Petersen in the Development Office at cpetersen@bigpicturephiladelphia.org. 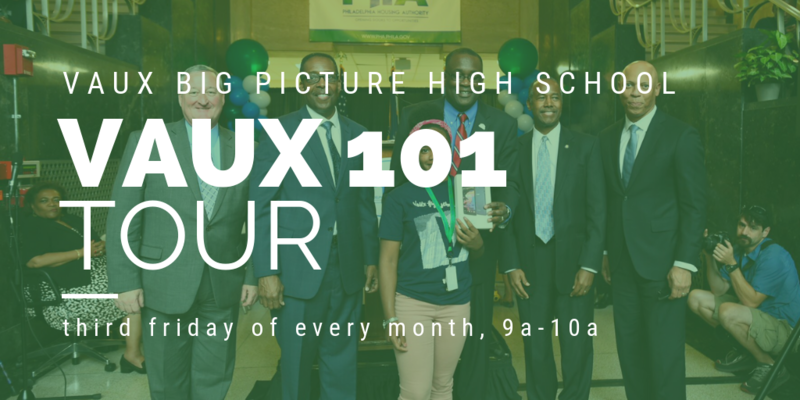 Vaux 101 Tour: The Vaux 101 Information Session and Tour is offered regularly on the third Friday of each month from 9:00-10:00 a.m. Vaux BPHS is a Philadelphia neighborhood high school in the School District of Philadelphia partnered with the Philadelphia Housing Authority, the Philadelphia Federation of Teachers and other community agencies. A full tour of the historic building is given, plus engagement with staff and students. 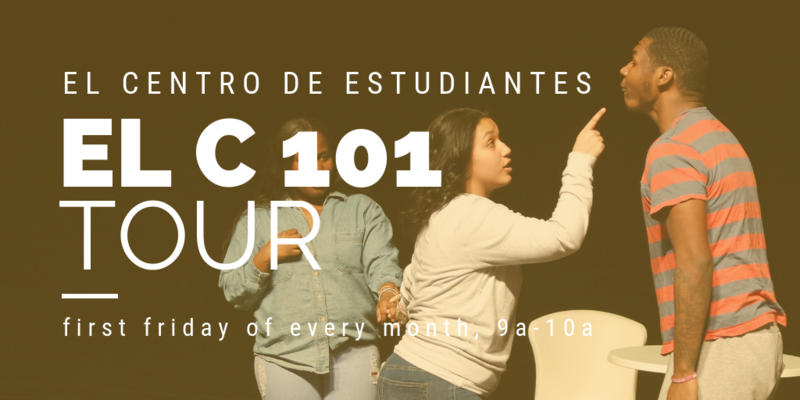 El Centro 101 Tour: The El Centro 101 Information Session and Tour is held on the first Friday of each month from 9:00-10:00 a.m. El Centro is an accelerated high school in the School District of Philadelphia that offers a full diploma program for students who have previously disengaged from high school. Guests will hear from students and staff about this unique and innovative program with an 80% graduation rate. Demo Day: Preparing for an internship interview can be a brand new and sometimes intimidating experience. Gateway students at el Centro (students who are in their first trimester) spend the first month of their trimester exploring their passions and interests. They assemble their portfolio and present it to a volunteer interviewer at Demo Day. The volunteer has a prepared set of questions and a rubric to identify strengths and weaknesses of the students' interviewing skills. 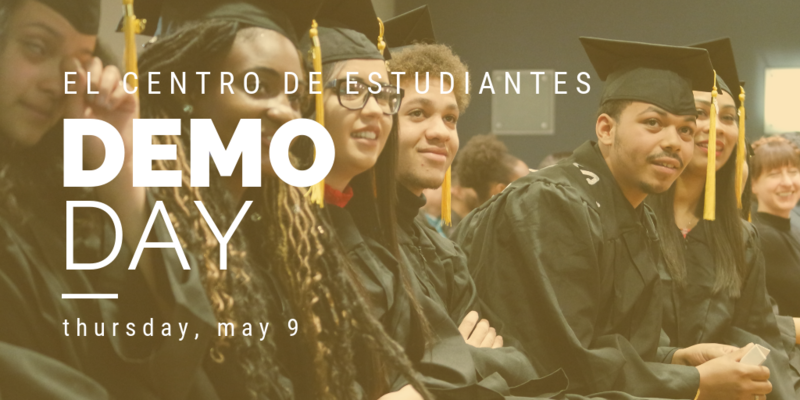 We are holding Demo Day on Thursday, May 9th from 9:30 a.m.-2:00 p.m. at el Centro de Estudiantes, and volunteers are asked to interview at least two students, or participate for one hour. Please click the image above to sign up! Exhibitions are a crucial and unique component of our schools and of each student's personal journey. 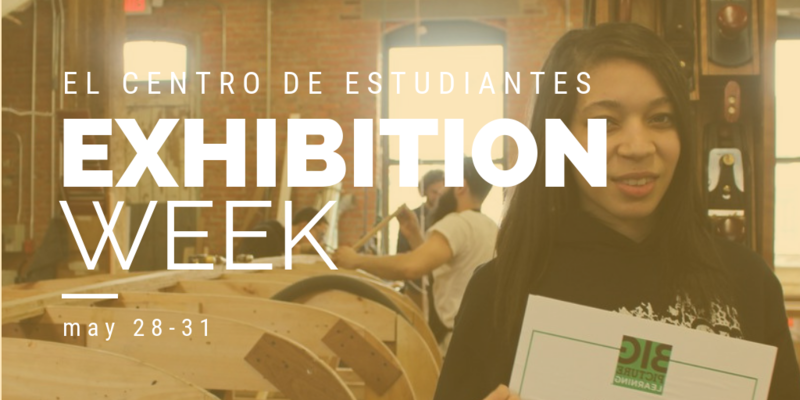 In an exhibition, which is the capstone of each term, every student produces a comprehensive presentation of their academic, social-emotional, and real world learning. In front of their peers, family, and their mentor, students are forced to account for their work, their learning, and their growth. Our next round of exhibitions will be held March 4-7 at el Centro. Both Vaux BPHS and el Centro will hold exhibitions will be in May. Preparing for an internship interview can be a brand new and sometimes intimidating experience. Ninth grade students at at Vaux BPHS spend their year exploring their passions and interests. They assemble their portfolio and present it to a volunteer interviewer at Mock Interview Day. The volunteer has a prepared set of questions and a rubric to identify strengths and weaknesses of the students' interviewing skills. 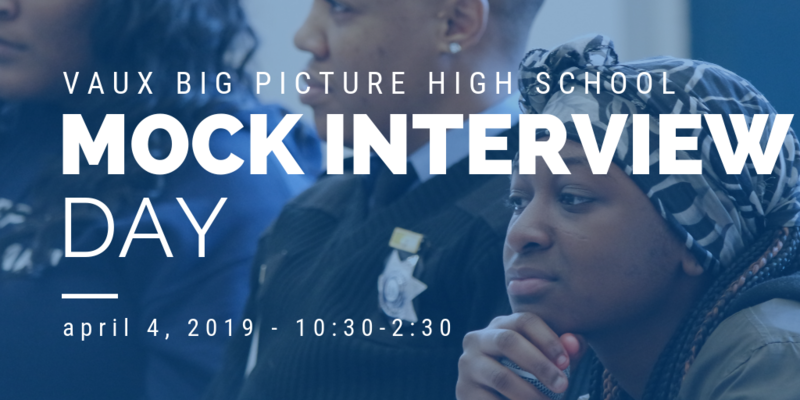 This year, we are hosting Mock Interview Day at Vaux on April 4 from 10:30am-2:30pm. Volunteers are asked to participate for either the first half or the second half (but you are welcome for both!). Please click the image above to register.